Corporate Gifts: Send your regards and gratitude to your business associates and clients in the most special and memorable way! Do you know that approximately 60% of businesses are not growing each year? Most of the business houses strive to remain the best, for this, they might even have an exceptional product or service, but they still fall short of success. The major reasons for the failure of various business organizations varies from weak products, no innovation or market differentiation, lack of connection with the target market, to poor management and lack of creative marketing strategies. There are very few businesses existing today that are capable of becoming “Good to Great”. There are so many ways to provide quality to the customers, but is it sufficient to retain the top clients? And, if there is a form of marketing that has successfully sustained the dynamic business conditions, then it is with the help of corporate gifts. You can consult any successful business owner and he will surely tell you about the growing significance of corporate gifts giving. Customized gifts can also be offered to the clients, to show that how thankful you are for their hard work and you can also continue the patronage of your products or services. If you are considering giving gifts on a large scale, then it is imperative to offer corporate gifts in bulk as well as economical packages should be available. Exclusive corporate gifts also include personalized diaries, show pieces, monogrammed mugs and wallets. Exclusive gift items in exquisite cutlery and glass pieces are also offered by the corporate gifts industry to meet the needs of premium gifting segment. Corporate gifts also include utility and home decor items such as spa hampers, luxury bath room essentials, digital photo frames, bath soaps and other such items, Herbal perfumes, exotic incenses, dried flower packs and aromatic candles also form a part of corporate gift hampers. Very stylish and corporate, the distinctive range of laptop covers and paintings emerge as premium collection for sending corporate gifts. Online purchase of corporate gift items and gift for boss during special occasions has made the purchase very easy. For businesses and corporate houses in India, Diwali is a special occasion to share joy and warmth with their important stakeholders. From the most valued customers to the hard working employees and important dealers and suppliers, everyone is offered corporate Diwali gifts. During Diwali and New Year, one is looking for unique Diwali gift ideas. But chocolate seems to be one of the most popular corporate gift items. A better taste and a longer shelf life make them even more favorite than the traditional sweets. Further, the chocolate hampers can be easily customized with gift baskets, and chocolate bar libraries and much more. 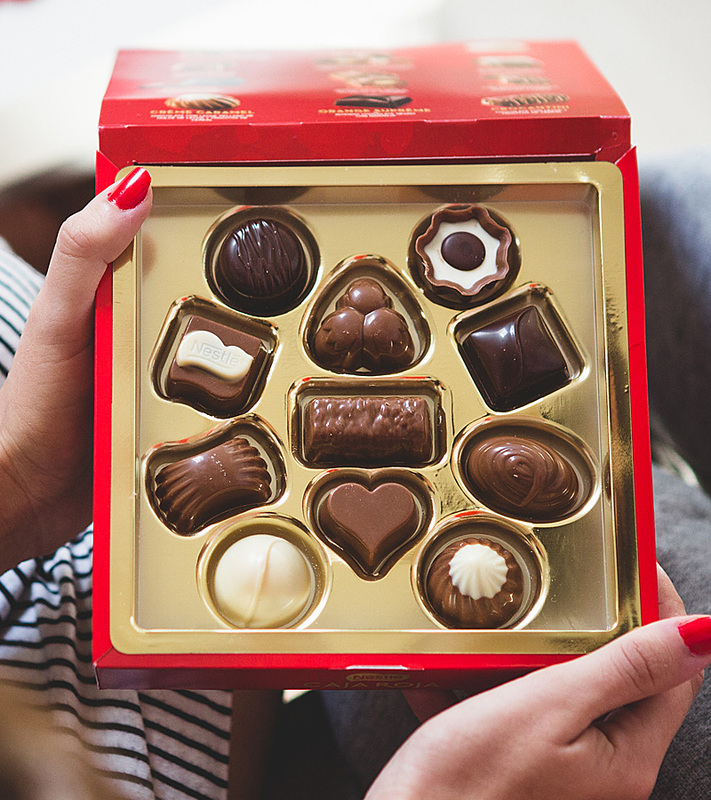 Now, imagine a chocolate gift highlighting your brand. Further, it is packed in a stone embellished elegant box. Don’t you think that it will be a perfect Diwali gifts for employees? Chocolates corporate gifts are manufactured for the famous festival of lights and the packs carry Diwali symbols such as crackers, rangolis and diyas. Extravagant and beautiful chocolate boxes that include Diwali greetings make memorable gift for boss and helps in paying regards to the company. A successful corporate Diwali gift would be the one that will reflect your company’s mission and is ideally appreciated by the recipient. It is often not just the gift itself but the manner in which you present the corporate gift also matters a lot. One of the most convenient as well as budget friendly option for corporate gifting is chocolate gifting. 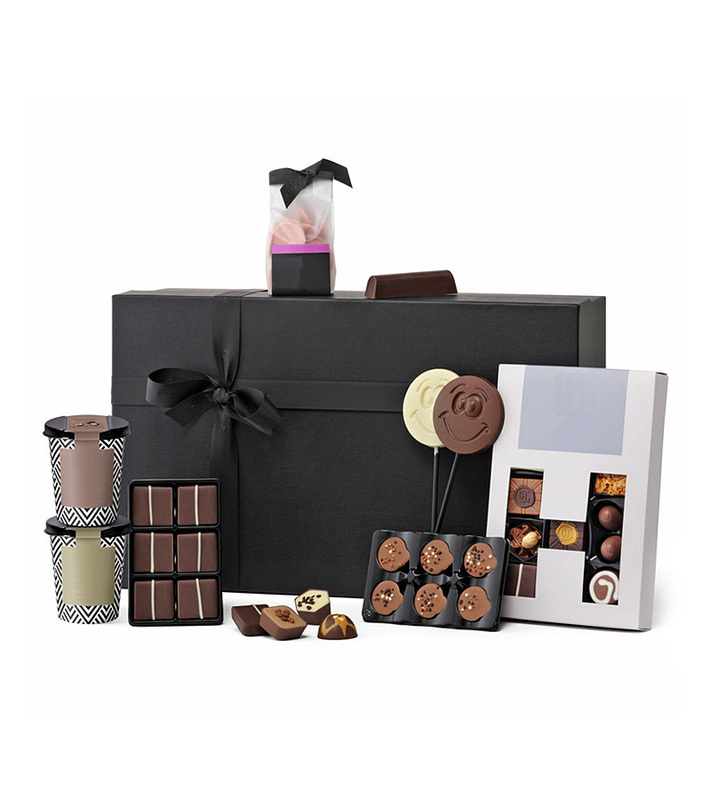 Unique and personalized chocolate hampers are ideal for every occasion. Taste the name of your brand in style by selecting the fine premium quality chocolates, guaranteeing to leave an ever lasting impression. Further, exotic chocolate gift hampers can be personalized and selected from the exotic range for the various occasions like Diwali and New Year. Diwali and other festival offers of chocolate gift hampers can be combined with brass ware, silver coins and gold plating sculptures. Chocolate gifting serves to be ideal gifts for the guests at corporate events and business conferences as well. 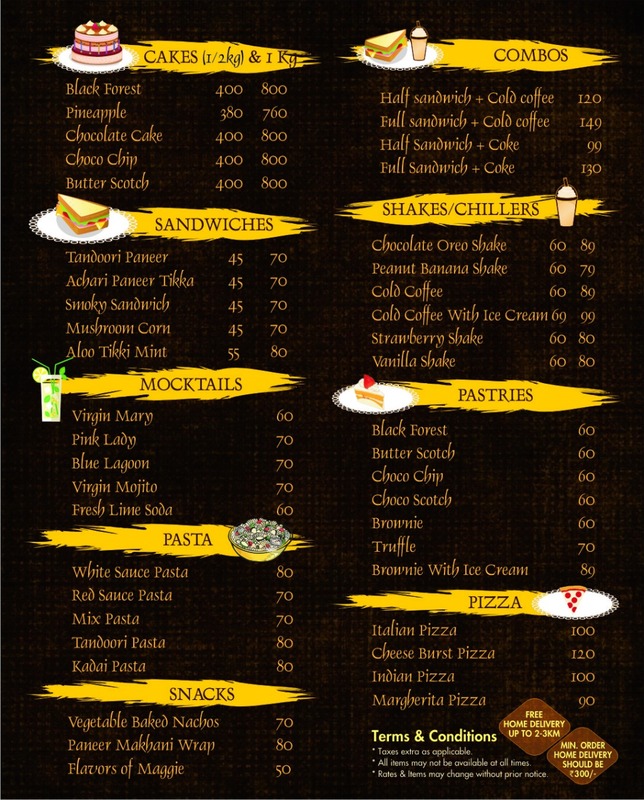 The chocolate hampers are an ultimate gift solution on special occasions like New Year for a person with sweet tooth. Packed to the brim and loaded with the most delicious goodies, the corporate gifts India hampers make an excellent New Year corporate gift. Synonymous with excellence, Choco Parlour chocolate gift hampers and baskets always make a memorable and most cherished corporate gift item. Giving Choco Parlour chocolates as a corporate gift item demonstrates your exclusive and impeccable taste that is a great combination of quality as well as a harmonious combination of top range luxury gift Belgian chocolates. We offer a complete range of perfect corporate events gifting solutions. If you need to thank a hard working client, congratulate your colleague or even follow up a business client during a corporate event- let us assist you in creating an ever lasting impression, with the perfect corporate gift ideas of fresh chocolates. From professional packaging to personalized service, the corporate chocolate gifting has been made very easy for you, and a perfectly guaranteed delight is provided to your recipients. You can rely on the expertise of Choco Parlour to offer your business clients and associates a perfect corporate chocolate gift! Wow your hard working clients with a corporate gift of fresh chocolates and employee with Diwali gifts, along with customized logo of your company- a memorable “thank you”, which will impress the employee or client. Certainly, nothing acknowledges “thanks a million” just like a huge luxury corporate gift hamper bursting out with all kinds of Choco Parlour chocolate gifts!